People vote at the Cross Insurance Center on Tuesday in a special election to fill a Maine House vacancy representing parts of Bangor and Orono. Bangor Democrat Joe Perry is heading back to Augusta after winning an open seat in the Maine House of Representatives on Tuesday. Perry, a moderate who has previously served in both legislative chambers and on the Bangor City Council, won the seat during a special election Tuesday. He received 64 percent of the 1,112 votes that were cast, according to unofficial results. The seat representing House District 124 has been open since its last occupant, Aaron Frey, was chosen to replace Gov. Janet Mills as the state’s attorney general. The district spans the easternmost neighborhoods of Bangor, including some of the tree streets, and a rural section of Orono. Perry’s opponent was Thomas White, a 24-year-old Bangor Republican who supports the fiscal policies of former Gov. Paul LePage and works for the Procurement Technical Assistance Center, an Eastern Maine Development Corp. program that helps small businesses compete for government contracts. Perry, the 52-year-old owner of Joe’s Market corner store on Garland Street, won the race with 717 votes. White received 395. Bangor voters cast 856 votes, while the remaining 256 came from Orono. 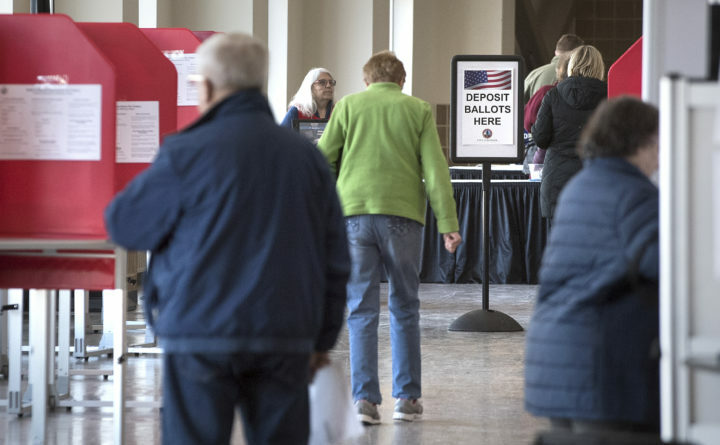 There were also about 60 Bangor residents who came to vote in the special election, but weren’t able to because they don’t live in House District 124, according to Charles Thayer, the city’s election warden. Perry, who is no stranger to state budget negotiations, will jump into the Legislature right as it considers Mills’ $8 billion two-year spending plan and numerous other proposals. About a decade ago, during Perry’s time as a state senator, he helped lead an effort to shift a greater portion of Maine’s tax burden onto visitors by lowering the top income tax rate, applying the sales tax to more items and services, and raising taxes on lodging and meals. Then-Gov. John Baldacci signed the change into law in 2009, but voters later rejected it. Last week, Perry said he still had not studied Mills’ budget proposal closely but appreciated that it would raise the share of state income and sales tax revenue that go to Maine municipalities from 2 to 3 percent. With Democrats now controlling the Blaine House and both legislative chambers, Perry also said that the state should not go overboard on spending given that a national recession could lead state tax revenues to shrink. Perry also has said that his legislative experience will be valuable to Bangor, particularly given that three other longstanding Bangor Democratic lawmakers — two representatives and one senator — will be termed out after this Legislature. “I think it’s good to have experience and continuity back in Augusta,” he said.